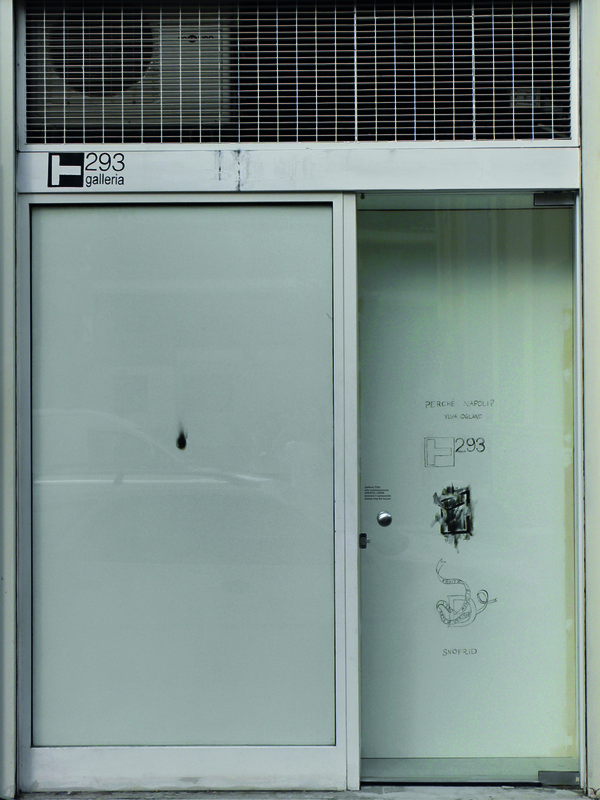 Solo show in the Perche Napoli Series curated by Lucie Fontaine, T293, Naples, 2010. 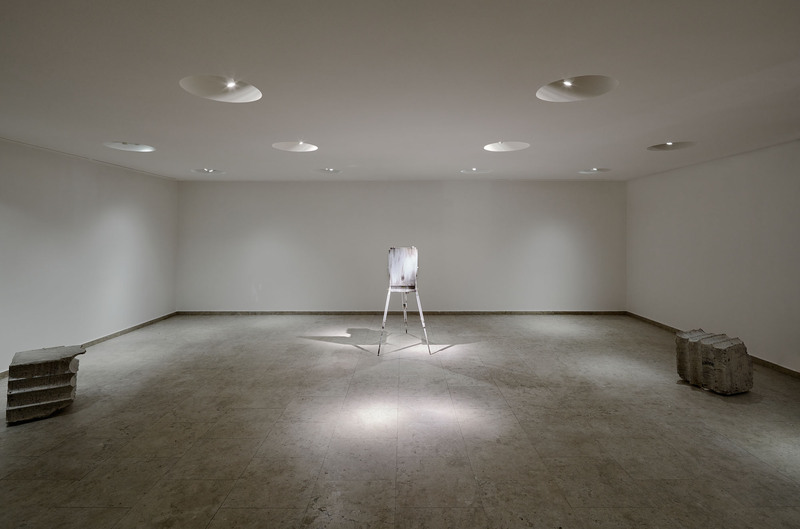 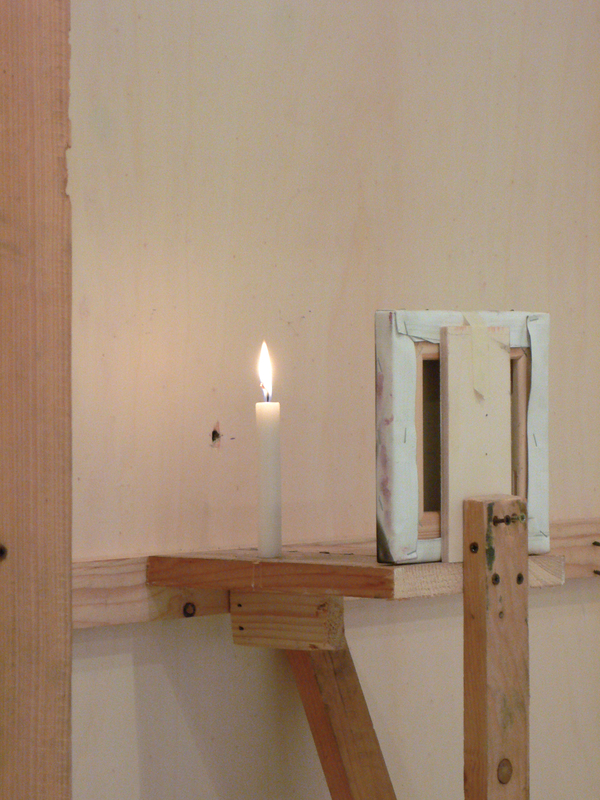 Xenia Dieci Giorni, is a hyper work, in where the artist sealed the gallery T293, as part of a ten day long ritual. 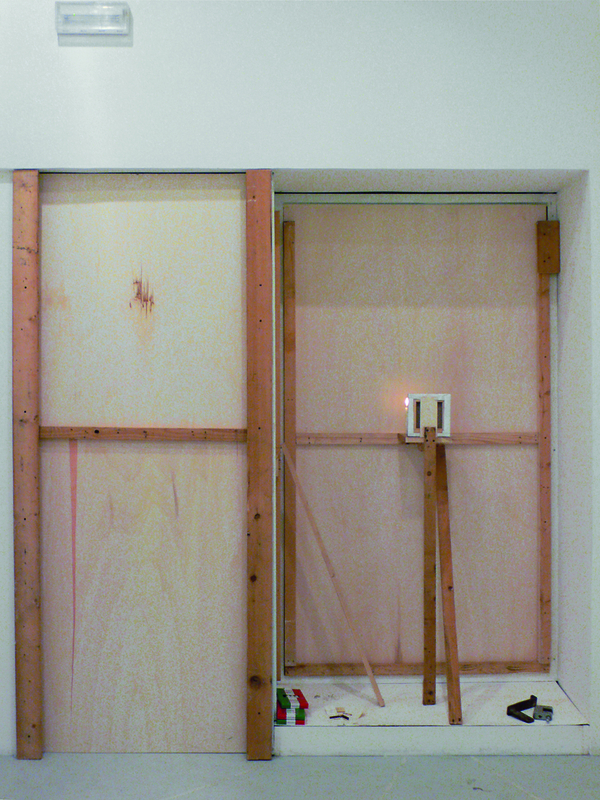 Ten paintings were conceived inside the gallery, one painting per day, and the work on display were only visible from outside of the gallery, when looking through a peephole. 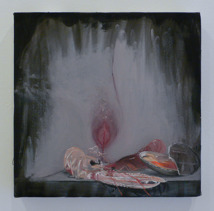 Xenia Dieci Giorni was part of a series of solo shows, Perche Napoli, curated by Lucie Fontaine for T293 in Naples 2019. 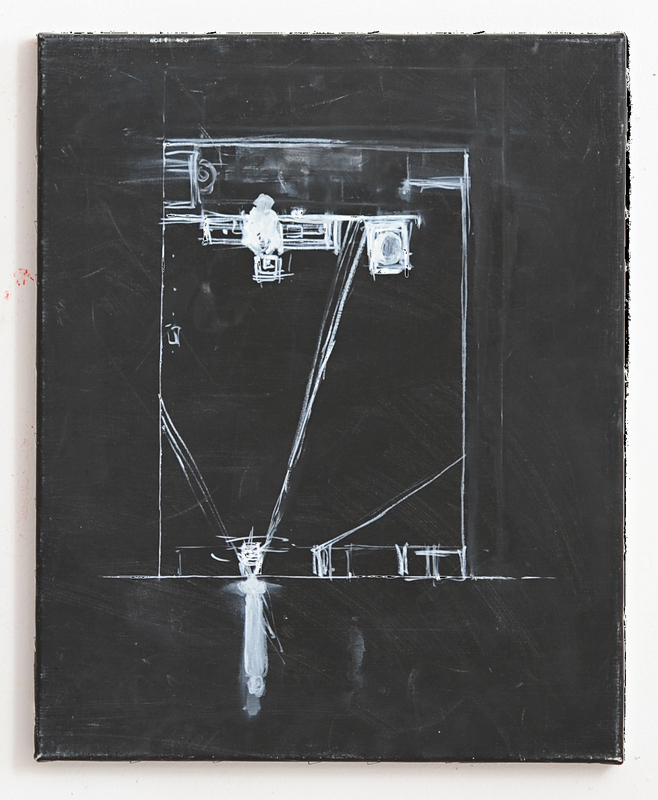 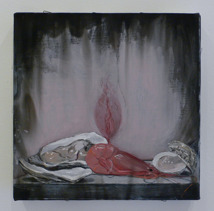 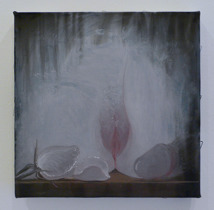 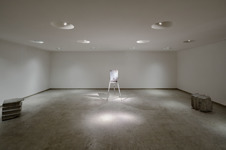 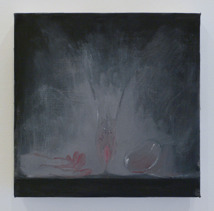 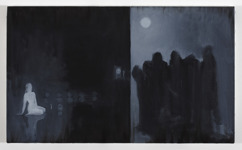 Xenia sette Giorni, 2009–2011, is a smaller hyper work, which contains 7, och the 10 painitngs made in Xenia Dieci Giorni. 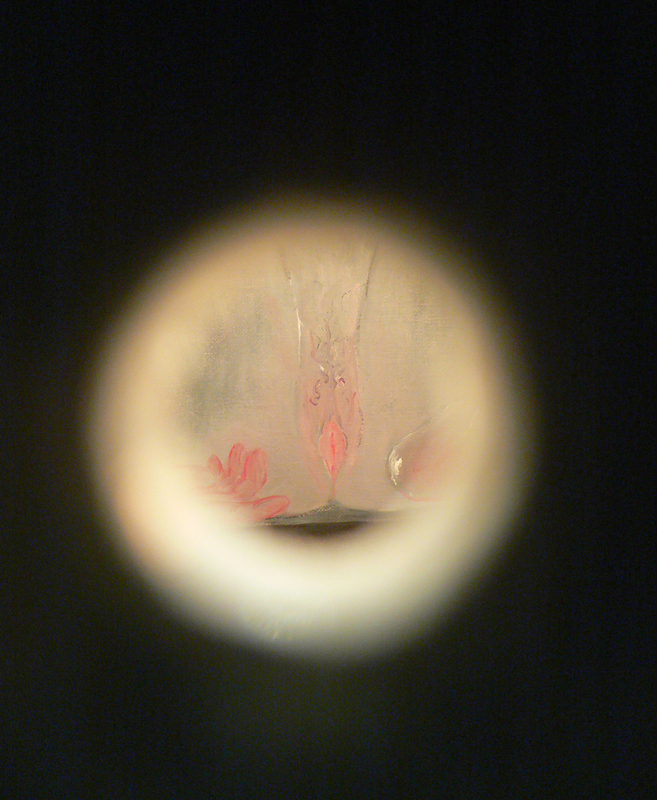 It functions as a self-sustaining little museum, where the paintings, one at the time can be seen through a peephole. 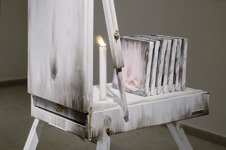 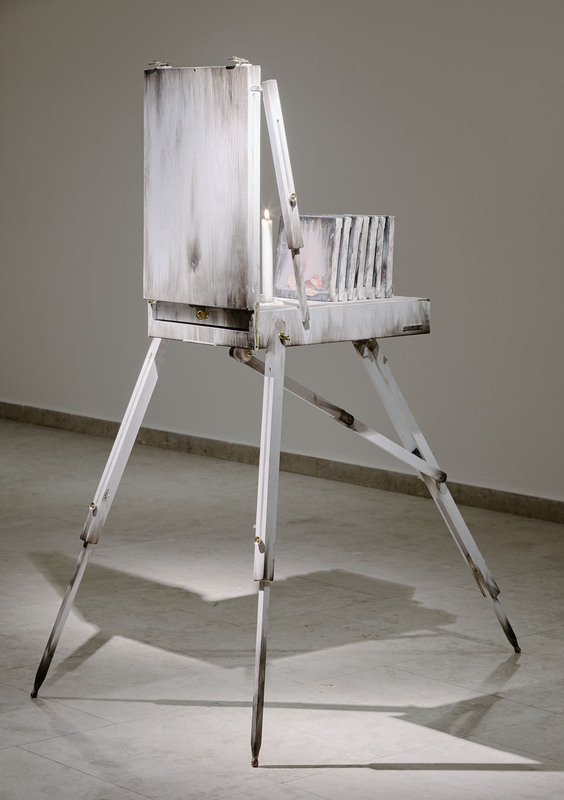 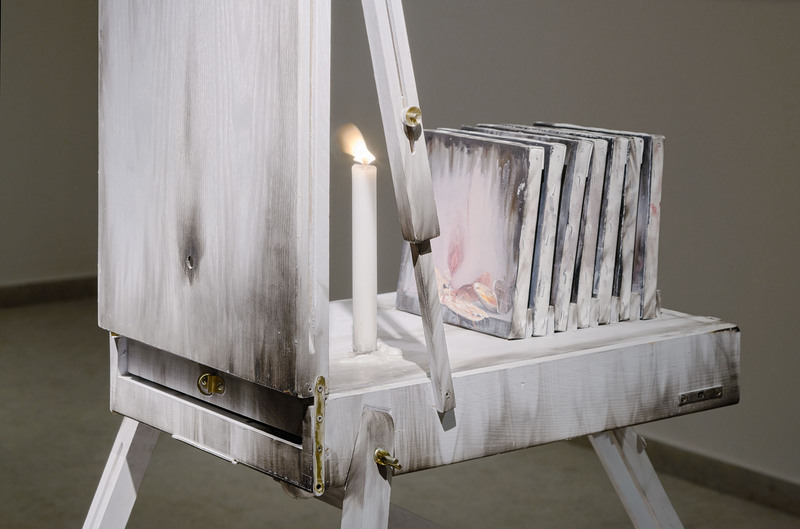 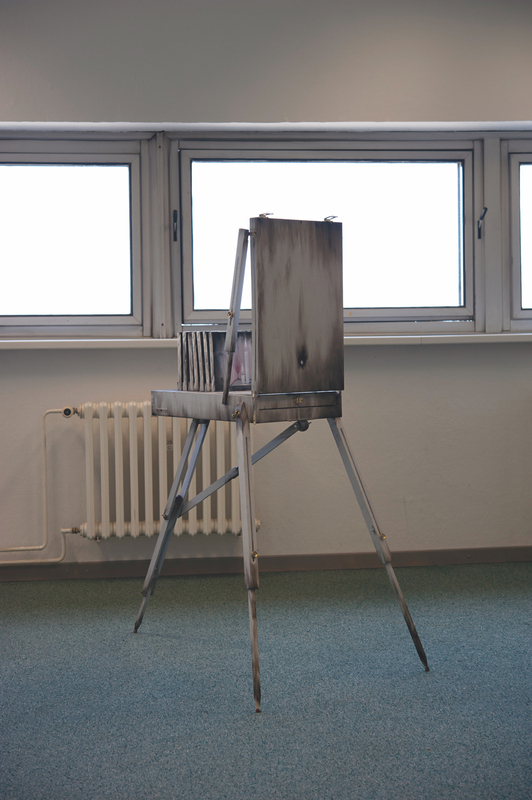 The piece is supported by a foldable wooden structure (a costumized open air easel) with peep-hole, it is grey-painted and sooted, and conatins candles, matches and a knife, all adhrent objects that can be used in the piece, to give light to painitngs i.e. 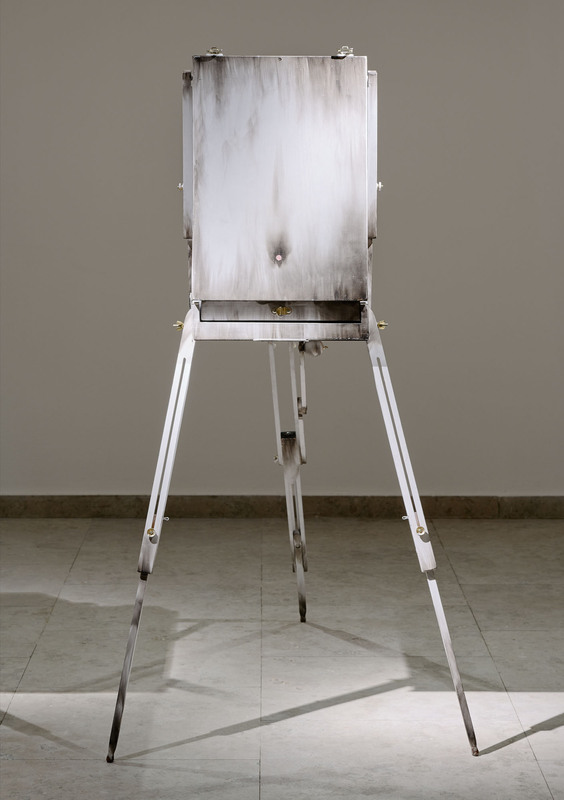 Xenia sette Giorni, 2009–2011, at Vaginan, Stockholm, 2016.